May 19, 2017 2 comments on "Canning Bean and Ham Soup"
I love bean and ham soup. I mean, who doesn’t!? It was one of my favorite Campbell’s soups when I was a kid. 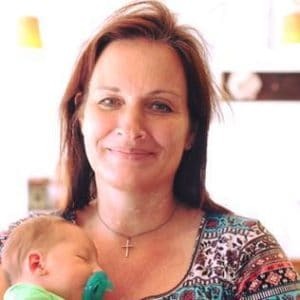 When I got my first taste of homemade bean and ham soup, I was hooked. It is the best! 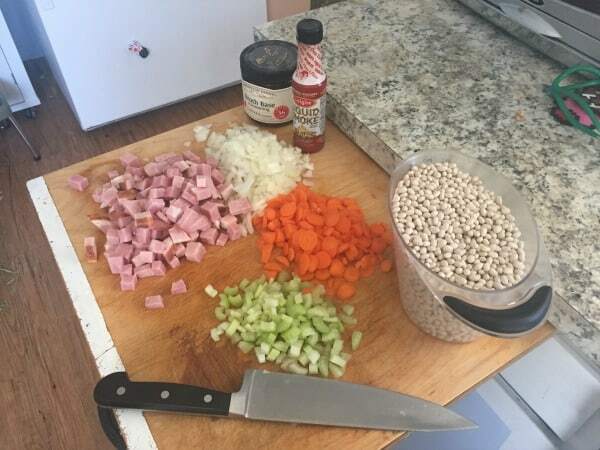 You will love this recipe for canning bean and ham soup. It is one of my favorite pressure canning soup recipes. Bean and ham soup is one of the easiest soups to pressure can. You don’t even have to cook the beans ahead of time. All of the ingredients go in the jar raw, and then they cook during the canning process. You will need a pressure canner to prepare this recipe. It is not safe to can beans with a boiling water canner. New to pressure canning? This video shows me preparing this recipe step by step. Rinse beans. Place 3/4 c. dried beans in each jar. Add remaining ingredients. Fill the remainder of the jars with boiling water, leaving 1 inch head space. Wipe rims of jars with a clean dish towel and place lids and rings on jars. Process jars in pressure canner at 10 pounds pressure for 70 minutes for pints and 90 minutes for quarts. Remove jars from canner and let cool until lids seal. 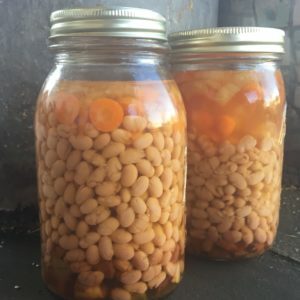 2 Comments on "Canning Bean and Ham Soup"
I have an IP can I use it to preserve bone broth? Hi! You can’t use the instant pot to can the broth, but you can use it to cook the broth then preserve in a pressure canner.